Irvine, CA-based El Pollo Loco has a penchant for serving hand-marinated, flame-grilled chicken and the freshest Mexican foods, and last year the company experienced record sales of $396 million. But executives there say that although their product is important, they owe much of their success to their loyal and dedicated employees. In fact, multi-unit operator Roland Spongberg recently went six years without losing a single manager at his 21 southern California El Pollo Loco locations. So what's going on at this company that's creating this environment of motivated, hard-working employees who stay the course? "We try to make our employees feel like they're number one," comments Spongberg. "We try to compensate them well and take care of them. It's amazing what a difference a good manager can make." The corporate office, and operators like Spongberg, have created and implemented a number of unique and customized hiring practices, employee recognition plans, and incentive/compensation programs. Steve Carley is president and CEO of El Pollo Loco, which has more than 300 restaurants operating throughout California, Arizona, Nevada, and Texas. According to him, organizations should always be looking for the caliber of people who can raise the benchmark for the whole team. "We want someone better than the person who just left that position," he explains. "Hiring should always have a mindset of consciously trying to upgrade." Carley explains that throughout the El Pollo Loco system, operators and managers are encouraged to look for people they have worked with in the past, people who are performers-from inside and outside the organization. That's a philosophy embraced by Spongberg at his 21 locations. He has around 500 employees and says he always tries to hire and promote from within by identifying his best "crew members"-the entry-level positions at the restaurants-and promoting them up through the ranks to supervisor and manager levels. "You can pretty easily identify who the performers are and those are the people you want to keep and promote," he says. Carley also touts lucrative bonus and incentive programs that offer restaurant general managers chances at $1,000 per month performance bonuses, and potential double-digit percentage commissions off catering orders they bring in. And there are other incentives designed to help recruit top performers. El Pollo Loco's vice president of human resources and training, Jeanne Scott believes the best way to find and hire great employees is to create a great working environment. "Establish a place where people want to be and work," she says. If this is done right she says, naturally that working environment will attract people with pride, integrity and a passion for working. All very important characteristics that can't be taught according to Scott. "There's a buzzword right now called 'employee engagement,'" explains Scott. "That's a description of an atmosphere where people care passionately about their work and what they contribute. Those are the kinds of people you want. And if you create the right kind of environment, those people will find you-some of them are already employed by you." Beyond these more progressive approaches to recruiting, executives say the fundamentals of good hiring remain important-extensive screening, interviewing, background and reference checks on potential entry-level employees. An environment where people are inspired, work hard, and feel appreciated is often characterized by good training opportunities. Carley is quick to point out that the El Pollo Loco system offers training for every employee. "Over the last couple of years we have invested heavily to improve our HR and training," he explains. "Everybody, from hourly crew members all the way up through the director level positions, there is training for everybody." Scott concurs with Carley and adds that the organization is always trying to assess its training needs and respond more quickly to those needs. For example, one unique characteristic of the El Pollo Loco system, is the high concentration of Hispanic employees (Spongberg says his 500 employees are 95 percent Hispanic). "We realized we needed to help many of our employees with English language skills," says Scott. "So we partnered with some outside groups, like the Los Angeles county schools to provide English as a second language (ESL) training to our Hispanic employees. We created posters that are placed inside each of our restaurants that are printed in English and Spanish to tell employees where they can go to get ESL training." Proof of Carley's top to bottom training philosophy, Scott has even developed a project management training course for the corporate employees at El Pollo Loco. "We worked with the University of California at Irvine to create a custom program that helps our corporate people be more effective and efficient project managers." And there's more to come according to Scott who says the company is looking into implementing a "coaching" program that, for example, would help area leaders provide better support for employee needs, issues, and skills development. The company's current restaurant training program breaks down into 14 modules including such areas as basic restaurant info, food safety, front of house, and back of house operations. Employees' names are posted in each restaurant with an identification of which of the 14 modules each is certified in. Additionally, the company has a dedicated formal training center in Monterey Park, CA. Operators like Spongberg have even gone a step further and customized the training they offer their employees. He says the corporate office offers great nuts and bolts training in its 14 modules, and that he has taken that and built on it. "I've developed a series of 10-week courses that take employees through the ranks and levels of management," he explains. "There's a course for crew members who want to become shift supervisors, there's another course for supervisors who want to become crew leaders, and a course for crew leaders who want to become managers." El Pollo Loco prides itself on its array of employee recognition and reward programs and there are a number of them worth examining. "Nearly every employee in our system top to bottom is eligible for some kind of bonus or incentive program," explains Scott. Furthermore, Scott describes the "Day of Pollo" program as one that's geared toward the corporate executives and provides them an opportunity to work in a store and witness first-hand what that involves. She explains how once every year every corporate employee spends a day working in an El Pollo Loco restaurant. "It really refocuses people on what we're about and it's exciting to see our corporate people take pride and get actively involved in operating the restaurant for a day." Scott says that it's also important to look for "spontaneous opportunities to reward." "Last year, we had an employee that exhibited such a great attitude and work ethic at 'Day of Pollo' that we decided to send her and a friend on a trip to Las Vegas," explained Scott. She says she has also sent $100 gift certificates with personal notes of recognition to store general managers because they had performed so well on HR audits done by Scott and her team. "When you can," says Scott, "Go beyond the ordinary to recognize." The "Pollo Bowl" is a system wide academic challenge that engages and ultimately trains employees at all levels, according to Carley. Now in its second year, the program allows employees to study the operation manuals and then compete at a multi-unit regional level with the qualifiers ultimately competing at a national competition held at a day-long competition in a fine hotel. "The employees study hard to compete, they ultimately increase their knowledge of our operational procedures, and then two managers and four employees are recognized as the 'Pollo Bowl' winners," explains Carley. El Pollo Loco's "Cook Off" competition keeps the system's cooks on their toes year. For 12 years now, cooks from throughout the system have competed in a cooking contest that evaluates their cooking technique, preparation of the chicken, cutting and the presentation. Last year's winner, a 13-year El Pollo Loco veteran, received a cash prize of $2,000 on the spot, as well as a trophy, and a jacket. "This is another way that we engage our employees," notes Carley. "Every cook has the opportunity to compete. The field is narrowed down to six finalists who compete in front of a panel of judges. It builds a lot of excitement." Another significant incentive program developed by El Pollo Loco is its "Safety Program." Essentially, restaurants that are accident-free for a quarter are recognized with an employee party paid for by the company. Spongberg took the safety program a step further at his restaurants by creating a "car giveaway" drawing. "For the employees at restaurants that go a month without an accident, we throw their names in the hopper. After two months accident free, we throw their names twice into the drawing, so ultimately if they went a whole year they could get as many as 23 entries. At our big Christmas party in December, we will draw one name out of the hat and the winner will receive a new Chevrolet Aveo." Of course, this is all in addition to the other rewards and recognition that take place each year at Spongberg's $25,000 employee Christmas party. He estimates that 30 percent of his employees go home with items ranging from TVs and VCRs, to cash. "It's imperative to treat employees with respect and recognition," says Michael Mendelsohn, a multi-unit operator with 12 El Pollo Loco locations and 300 employees throughout Los Angeles and Ventura counties. That's why he enthusiastically embraces recognition programs like employee of the month and employee of the quarter contests. "We simply track performance and reward adequately, from financial incentives to vacation giveaways," says Mendelsohn. He conducts quarterly breakfast meetings where he recognizes top performing employees and general managers. Mendelsohn says he sets high standards for performance from his employees and managers and he expects his stores to be at the top. "We use consumer ratings to give us feedback. The program is called 'Tell Us About Us' and it polls our customers on how we're performing. Customers are encouraged to respond because we offer future discounts and coupons in return for their feedback," explains Mendelsohn. He says the program encourages managers and holds them accountable for performance. 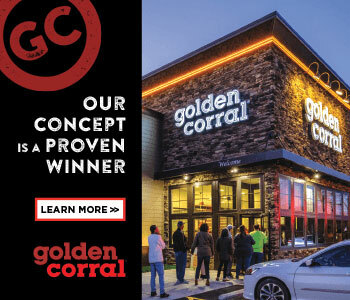 Restaurants that perform well in the "Tell Us About Us" program receive additional cash bonuses above and beyond what they already receive under regular corporate incentive programs. He notes that regular bonuses and service pins are a part of the routine system of employee recognition. According to Carley, El Pollo Loco's employee philosophy is to reward and recognize employees. He says he likes to think of it as rewarding the top 20 percent of performers, providing timely and effective training to the middle 70 percent, and eliminating the bottom 10 percent. "Are we compensating our people above and beyond the average employee? Are we making their bonuses the highest we can? Are we creating an environment where everybody recognizes that if you produce, you get paid?" asks Carley. He's quick to point out that the top performer in the El Pollo Loco system isn't driving the regular Ford Taurus company car, but rather a Lexus RS300. Carley sums it up well by remarking, "If you get the right people on the bus and in the right seats, success will follow." Kerry Pipes is a Texas-based business writer.